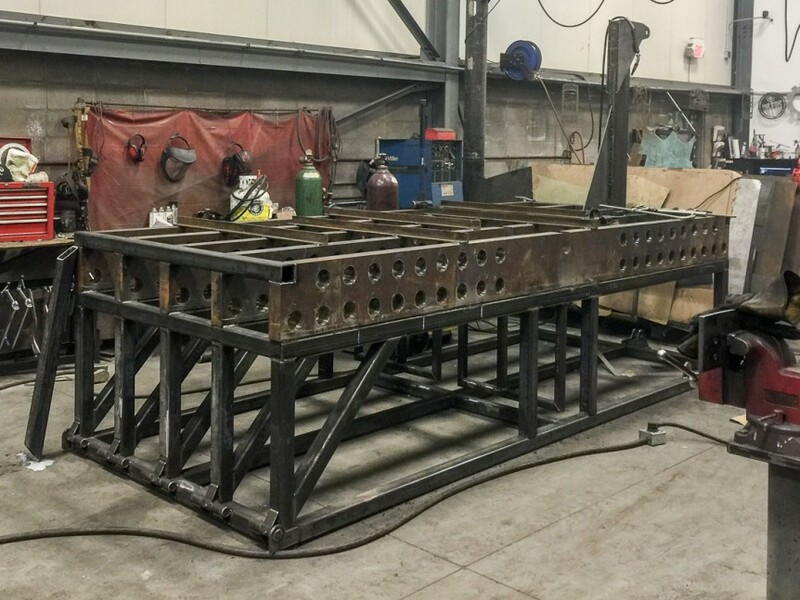 Quantum Design and Technologies Inc. in Edmonton Alberta designed this oil filed down-hole tool pressure testing unit for one of their clients. 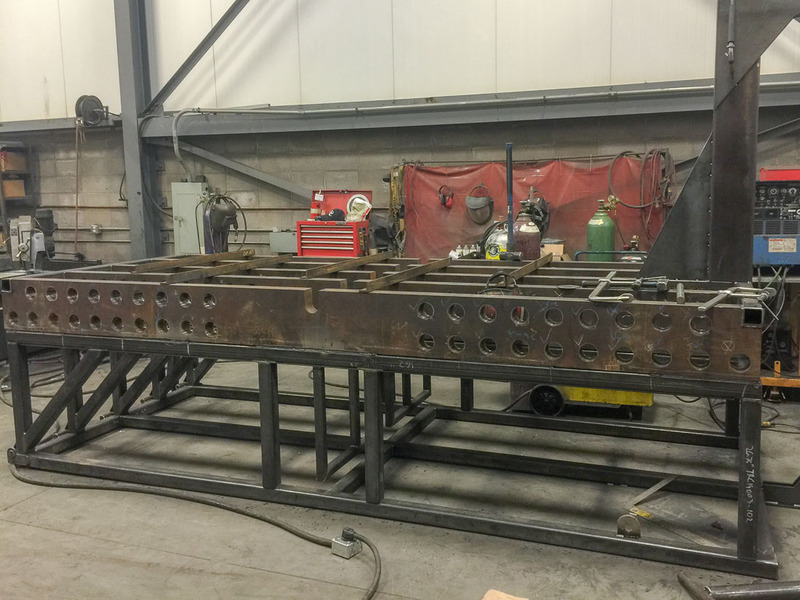 We helped with the custom fabrication and functionality of the unit and some major obstacles they had to overcome. 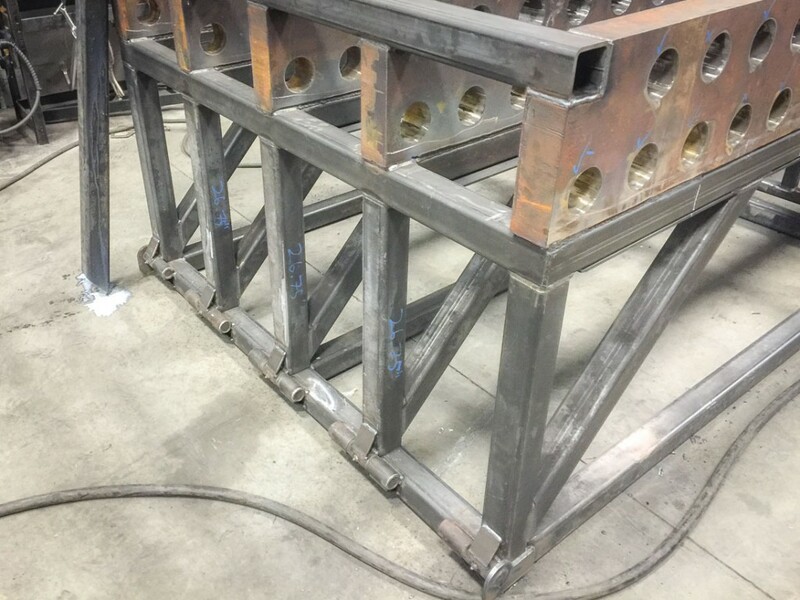 This unit was designed with a blast enclosure around it of 3/8″ steel walls with 4×4 wood behind in the event that one of the units they were testing catastrophically failed. 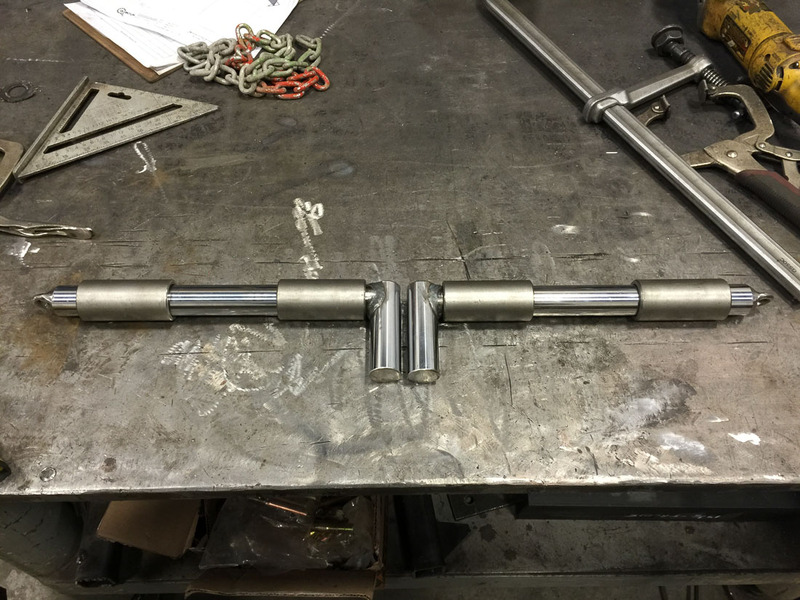 The stringer bars are 3″ thick solid steel with 3″ holes torch cut in them for 3″ solid pins to hold the tools. It was quite difficult to get all 4 bars to line up with all the holes perfectly. We ended up machining all the pins down 1/8″ so there was no discrepancies. The unit is fully automated for minimal human occupancy inside the enclosure. 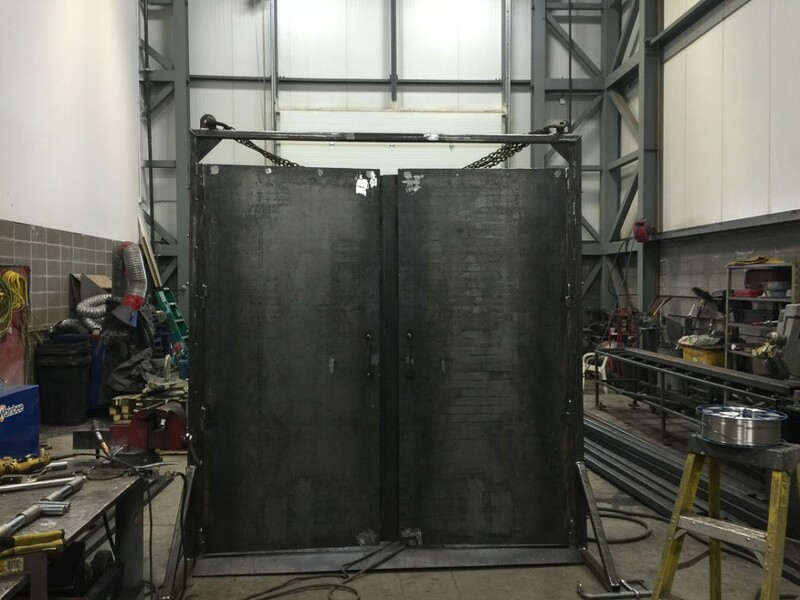 This is one set of the doors for the safety enclosure. These are the locks for the doors so no one can enter the enclosure without making sure it’s safe.